Is big city sprawl squeezing the “country” out of your corner of Texas? 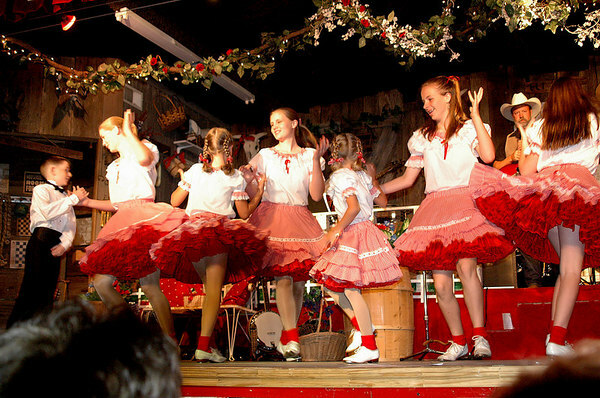 Ever wish you could just go back to an earlier time and enjoy an old-fashioned hoedown in the barn? Don’t give up hope, just head for Magnolia and the Texas Opry. 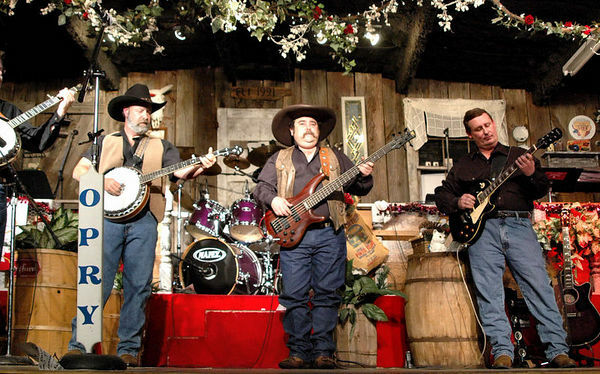 Each Saturday night at 7:30, in a barn-like (but air-conditioned) building, down a country road just off FM 1488 in Magnolia, the country music gets underway with comedy, and clogging on the side. If you haven’t done the Opry, you haven’t done Texas! The fun begins before the show as the crowd admires the eclectic décor of walls full of flags, coke bottles, antique breakfronts, fishing gear, baskets, hunting trophies, maps, clocks, and more red, white and blue bunting than the 4th of July! When you tire of that, there are big screen projections of the Saturday matinee serial films old-timers remember from childhood. Hungry? Light meals, desserts and beverages are available in the busy lobby. And then, it’s show time! You know you’re in the right place when the band starts out with an “Orange Blossom Special” highlighted by the dazzling fiddling of Kevin Carter. He even improvised a bit of “The Eyes of Texas” that endeared him further to this old Longhorn (B.A. Class of ’66). 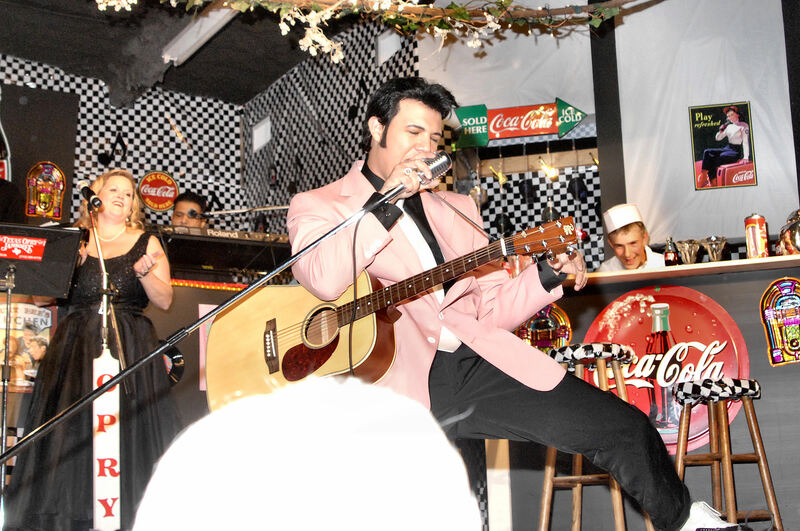 The hearty voice of Bobby Croft was next with a “Swing Low, Sweet Chariot” that was even sweeter with the nice back-up singing (Ivette Isabel and Glinda Cheek) that would become a staple of the evening. Croft continued in great voice with “Way Down Yonder on the Chattahoochie” and a “Sunny, Side of Life” that was perfect for gospel music fans. Next, Ms. Cheek was in velvet voice with a “Never Again, Again” that was full of vibrant power and feeling. Just back from a trip to Japan, fresh-faced, 19 year-old Michael Eli sang “Less One Day.” Maybe it was the Japanese influence, but he was at a disadvantage singing Karaoke-style against a noisy recording, and not with the fine onstage band. But just then comedian, “Little Gene” arrived to give out free hugs to unsuspecting audience members. Gene is a regular with the show, and adds just the right amount of nonsense. 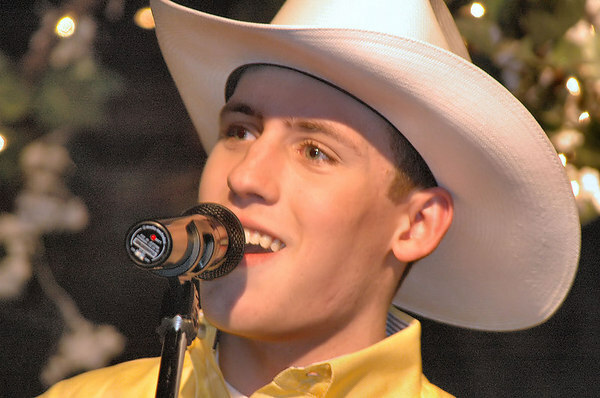 His country bumpkin routines are well narrated by Gene’s mom, Cookie Douglas, who doubles as the show’s hostess and emcee. Pretty Wendy Brewer sang “Heart to Heart Talk,” and the band’s fine keyboard man, Jimmy Wheeler, showed his vocal talent with “Don’t Come Cryin’ to Me.” In addition to Wheeler and Carter, the fine band includes Phyllis Hodges on bass guitar, Joel Brewer on lead guitar and banjo, and talented Odale Benskin on drums that thankfully never overpower the singers. The band’s fine work always compliments and never overwhelms the vocalists. Intermission gave folks time to visit the “Café” snack bar and maybe win one of numerous door prizes awarded to ticket holders. (By the way— the café and box office open at 5:30 each Saturday evening for those who want to come early for a bite to eat.) Then Glinda Cheek returned with mellow voice for a strong “Bet on Love, and Let it Ride.” Mr. Croft had fun as he brought his ease and experience to a solid “You’ve Got to Have an Ace in the Hole.” There was more fun from the cloggers with “Boogie Woogie Bugle Boy.” And speaking of boys, 14 year-old Seth Johnson may not be quite ready for Nashville, but he brought lots of youthful energy and charm to “I Couldn’t Leave You If I Tried,” which he dedicated to his grandmother. I heard some in the lobby wondering if grandma had approved the tight black leather pants, body hugging black tee shirt, and matching cowboy hat the handsome young man sported. But the enthusiastic young girls in the audience looked unconcerned. For female fashion, Miss Kalmayer wore black pants with leopard top while doing a sultry and husky-voiced “Let’s Give Them Something to Talk About.” Ms. Brewer did a jazzy “ My Crazy Life” that was followed with more humor from comic regulars, “Mike and the Monkey.” Performed by Michael Kelly (who doubles as “Little Gene”) it was a great lip-sync spoof of “Please Mr. Custer, I Don’t Want to Go!” Many in the audience probably felt the same, but after all the fun, it was time to go home. 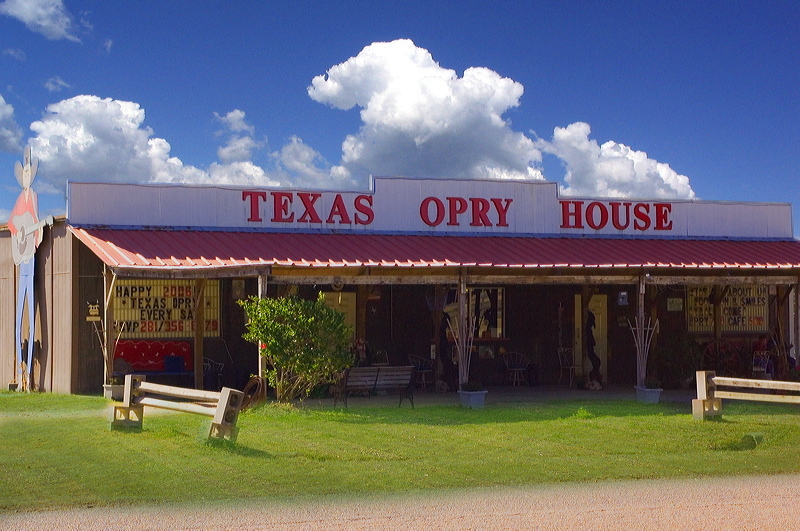 ­­­­­­­­­­­­­Texas Opry­ is about 20 minutes west of I-45 on FM1488. 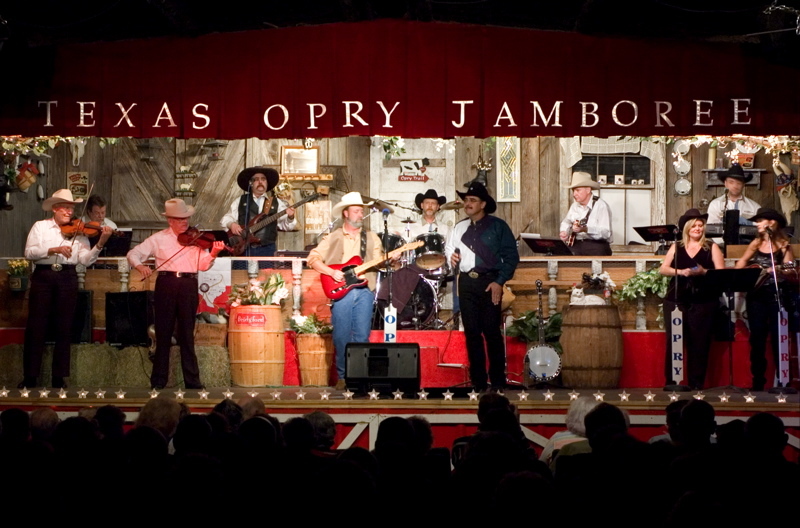 In Magnolia, go right on Goodson (at the yellow caution light and Chevron station) and the Opry is just up the street. For reservations and information, call 281-356-6779. This entry was posted in Concert Reviews, Dance Reviews, Miscellaneous Reviews, The Courier Columns, Theater Reviews and tagged concerts, Conroe, country, Entertainment, Houston, Magnolia, music, Reviews, Texas, theatre. Bookmark the permalink. Great review of a really fun place and experience. Just getting there down some back country roads makes you feel like you been spending the afternoon tooling around in your pick up and now you’re heading for a cool one and some bantering with the guys from the hardware store. The People’s Critic brought it all back to life.